A single dose of cannabis extract can help alleviate brain function abnormalities in people suffering the disturbing effects of psychosis, research has shown. The discovery helps explain how cannabidiol (CBD) appears to reduce symptoms in people with serious schizophrenia-like mental illnesses. CBD is a harmless non-psychoactive compound found in cannabis that has long been claimed to have powerful medicinal effects. A purified form of CBD was recently licensed in the US to treat rare childhood forms of epilepsy, and last year a UK trial showed that cannabidiol has anti-psychotic properties. 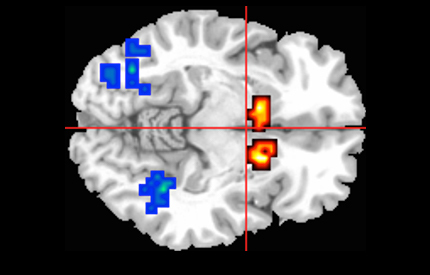 The new study highlighted three brain regions affected by cannabidiol, all of which are known to play a role in psychosis. Researchers studied a group of 33 young people who had not yet been diagnosed with a psychotic illness, but who were experiencing distressing symptoms. A single dose of CBD was given to 16 participants while 17 received a placebo drug. Every patient was then asked to perform a memory task while undergoing a magnetic resonance imaging (MRI) brain scan. In those who took the cannabis extract, abnormal activity in three key brain regions – the striatum, medial temporal cortex, and midbrain – was reduced. The findings, published in the journal Jama Psychiatry, suggest that cannabidiol can help to “normalise” the brains of psychotic patients, said the researchers. Study leader Dr Sagnik Bhattacharyya, from King’s College London, said: “The mainstay of current treatment for people with psychosis are drugs that were first discovered in the 1950s and unfortunately do not work for everyone. According to some estimates, more than 15,000 people in England alone develop early symptoms of psychosis each year. Currently there are no treatments available for people at high risk of psychosis, but not yet experiencing symptoms, because anti-psychotic drugs can have such severe side effects. The King’s College team is now launching the first large-scale multi-centre trial looking at whether cannabidiol can be used to treat young people at high risk of psychosis. The trial has been awarded a £1.85 million grant by the NHS body the National Institute for Health Research (NIHR) and Medical Research Council (MRC). Dr Bhattacharyya said: “There is an urgent need for a safe treatment for young people at risk of psychosis. “One of the main advantages of cannabidiol is that it is safe and seems to be very well tolerated, making it in some ways an ideal treatment. Another cannabis compound, tetrahyhdrocannabinol (THC), is responsible for the drug’s “high” effects and has been strongly linked to psychosis in vulnerable people.